August | 2013 | J.J. McLellan & Son "
How comfortable is your home comfort system? The fall is upon us, personally my favourite time of year! Warm sunshine, cool nights, gorgeous colours, whats not to love! Cool evenings, snuggled under a blanket or sitting beside a roaring campfire or indoors with a gas fireplace, its a wonderful time of year! For us its also a very exciting and busy time as heating season begins!!! Did you know that your furnace, air conditioner, HRV and humidifier all work together along with your thermostat? Investing in a home comfort system is truly an investment into your home, especially if your equipment is 15+ years old. It is especially important in newer homes or renovated homes to ensure proper circulation and ventilation of the air within the home. Many new homes and renovated homes are sealed to ensure proper energy efficiency with heating and cooling systems. Potential drawbacks is if an HRV is not installed, the air within the home will become stale and could potentially cause issues with illnesses etc. Homes need to breathe – properly with the equipment designed to also keep your family safe! With the use of an energy efficient heating system combined with an HRV you can rest assured your family will breathe easier and be much more comfortable. How? An HRV exchanges air with the outside, through a filter. Your HRV vents are located within the washrooms, laundry room and kitchen of the home – all rooms where you want to ensure moisture, smells and potential air borne germs can be hanging out. Home comfort doesn’t just rely on an HRV, your home heating system is very important, especially remembering to change your filters! All the air within your home travels through your heating system (for forced air heat), this air comes through your cold air returns, through your heating system and comes out your heat registers in your home. While cycling through the heating system various particles, dirt etc is caught. The more dirt and particles that are caught in the filter, the harder it is for your heating system to work efficiently and properly. If a filter becomes plugged this can be dangerous and burn out your heating system! Whats worse is if this happens in the middle of winter!!! As a Lennox Premier Dealer we can assure you we will be here for many more years and we can assure you we only offer quality products with the availability of a 10 year extended complete care warranty as well as very affordable financing options with the option to pay any amount at anytime with no penalties! Check out some tips from Lennox about Considering A Home Comfort System. Many of us at some point in our adult life will buy and sell our home, even multiple times. Speaking from experience, when we went searching for our home we had a fairly specific list of features. Top of that list was the house must have or be able to have gas service. Its simple. Bottom line, its more affordable – that was my main reason. Having the convenience of a gas BBQ, gas stove, gas dryer, gas hot water heater… and gas heat. Well for us we lucked out – we found a house that fit all our needs AND had gas service. We had to compromise on an electric wall oven with a gas cook top – yes I even searched for a gas wall oven… We also had to compromise on geothermal heat – yes being in the business it is an affordable and environmental way to heat and cool… but not when you have gas available for heating! Quite honestly we will be making the change so our heating is primarily gas. So … what if you are thinking of selling your home and your home has baseboard heat? Homes with electric baseboard heating are not sought out nor preferred, for many home buyers they are a turn off. The biggest reason being its expensive, next to that the air doesn’t circulate as well and you wont be able to install central air conditioning – although there is options such as mini splits. Bottom line is if you have gas in your home and forced air heat/cooling you will have added value. Installing an HVAC Comfort System to sell a home is a value added selling benefit where you will recoup your costs. This type of upgrade is vastly different than installing new flooring or even a new kitchen. Why? The HVAC System is not as aesthetically key as your home decor which is much more personable and customized to the home owner. Notice how I do mention its “not as” … I know my technicians would tell me different – it is very important 😉 The HVAC system is located in the basement, it is not something that is seen by your guests or something that you choose based on colour or look. The system is however chosen based on comfort – the comfort of you, your family and friends during all 4 seasons of the year. The approximate cost of installing duct work, a new furnace and new a/c in a home with baseboard heat will vary based on the size of the home, whether the basement is finished, the ease of installation, the models you choose etc. For the sake of numbers lets play with $15,000. With our financing option through SNAP Financial you CAN afford to make this upgrade to your home, especially if you would like to make it more appealing to buyers. Want to entice them even more? 1. Complete Care Warranty – the customer is covered for 10 years parts and labour! 2. Reliance Home Comfort offers Service Plans for Furnaces and/or Systems – whats great with this plan is there is also an option for a small amount extra per month they will also cover your yearly service – which of course will be done through us! Why an extended warranty? Lets face it, things happen. The products we carry already do have a wonderful warranty, this just provides added comfort and peace of mind if something happens you would be covered for parts AND labour! We all know there can always be a lemon… this is why our suppliers offer extended warranties! Why buy quality equipment if you are selling? This definitely is a selling feature. As a Premier Lennox Dealer we pride ourselves on the quality of the equipment along with their energy efficiency. 1. Lennox® offers the quietest high-efficiency furnace you can buy. 2. Variable speed technology can enhance your comfort and save you hundreds of dollars each year. 3. Absolute comfort. 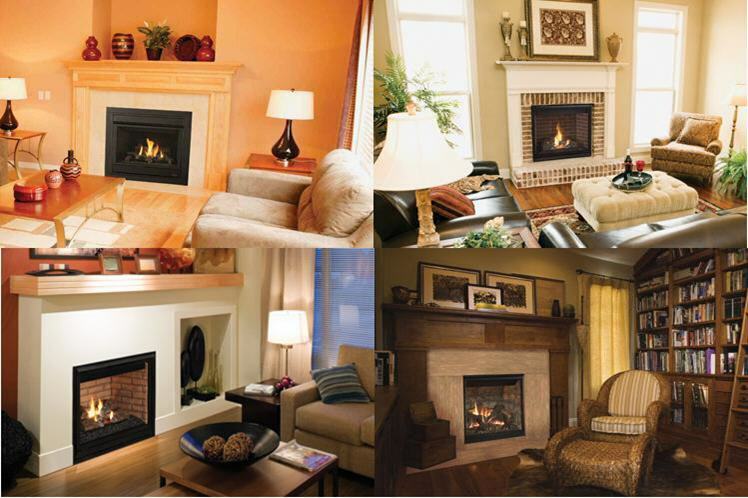 Furnaces with PreciseComfort™ technology are engineered to deliver ideal warmth. Oh and an added benefit to YOU! Install the system during one of our promotions and you will get rebates on the system – which means money back in your pocket!!! 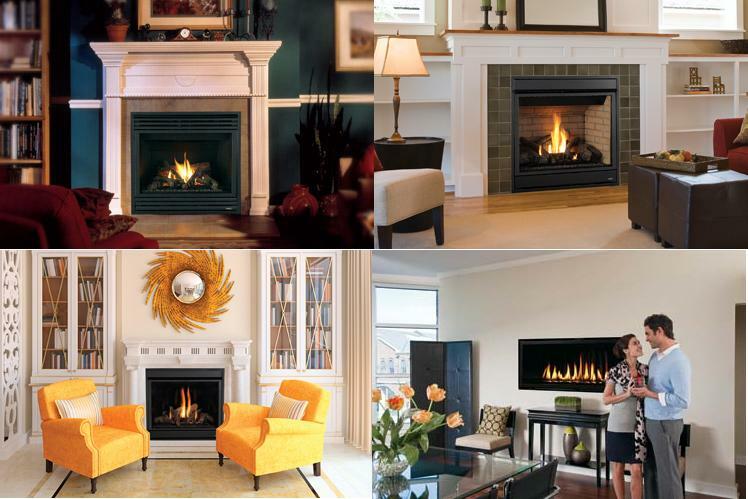 Thinking of fall… think of a Regency Gas Fireplace to cozy up to! Fall is upon us, along with cool evenings! 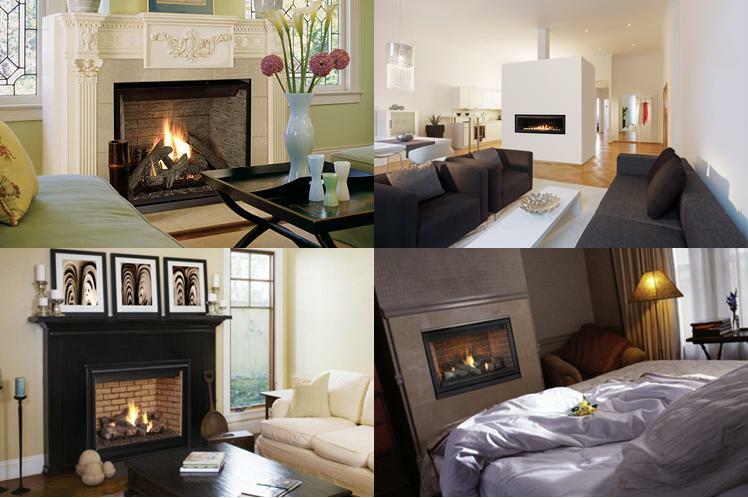 What better way to warm up than with a gas fireplace from Regency! Enjoy the convenience and ease of an energy efficient gas fireplace, comfortable heat with the flick of a switch! You can also rest assured that your Regency Fireplace will provide you with years of comfort as they have a lifetime warranty on some of the very important parts of the fireplace.